LONDON, 18 October 2010: The results of the third annual study of the quality of broadband connections around the globe reveals continued improvements worldwide, with more countries already prepared for the applications of tomorrow than in previous years and two thirds of the countries analyzed meeting or surpassing today's needs. Overall, thanks to a range of investments in infrastructure, global broadband quality has improved by 50% in just three years and penetration of broadband continues to improve, with about half of the households (49%) of the countries investigated now having access to broadband (up from 40% in 2008). Using the data from 40 million real-life broadband quality tests conducted in May-June of 2010 on the Internet speed testing site, speedtest.net, the researchers were able to evaluate the broadband quality of 72 countries around the globe. Quality was evaluated by scoring the combined download throughput, upload throughput, and latency capabilities of a connection, the key criteria for a connection's ability to handle specific Internet applications, from consumer telepresence to online video and social networking. These criteria are expressed as a single 'Broadband Quality Score' for each country. By combining this Broadband Quality Score with broadband penetration figures for each country (i.e. the proportion of households who have access to broadband, obtained from Point Topic in 2010), the researchers were able to map out the world's broadband leaders  those with the best combination of broadband quality and penetration (Note: For a full explanation of how the scores are calculated, see page 4 of the Broadband Quality Study 2010). Building on last year's study, the 2010 data also includes analysis of the broadband quality of 239 cities, providing further insight into the evolution of smart connected communities around the world. The measurement of mobile broadband quality, first introduced to the study last year, has also been expanded significantly to include 68 countries (94% of the overall sample). The research has also explored the patterns of broadband consumption per household and evaluated the impact these will have on overall broadband quality requirements. The study was conducted by a team of MBA students from the Saïd Business School at the University of Oxford and the University of Oviedo's Department of Applied Economics, and sponsored by Cisco. The team repeated and enlarged the number of regressions conducted in the first edition between broadband quality, broadband penetration and broadband leadership with over 40 socio-economic factors. ¹ Stages of Economic Development as defined in the World Economic Forum Global Competitiveness Report. "If I had to pick one key aspect of this year's study, it would be the unprecedented speed at which a country can become a broadband leader. While average broadband quality has improved by 20% in three years and penetration by 22%, some countries have seen improvements of over 50% in this time. Some emerging economies, such as Latvia and Bulgaria have been able to show improvements in broadband leadership of around 60% in just one year. Kenya has the record with a 174% improvement over three years―albeit from a very small starting point. Compared to the many growth-enabling infrastructures of the past  the telephone, electricity, railways, etc.  which took many decades or even centuries to impact the wider population, we can see that high quality Internet access can have an impact on the bulk of the population within just a few years, and its impact will reach the developing world much faster than any other technology of the past." "With 14 countries already prepared for the applications of tomorrow, 66% meeting today's needs and 49% of the global population now having access to broadband, quality Internet access is clearly seen as a priority infrastructure around the world." "In this third edition we are beginning to see how mobile broadband access is shaping the future of the Internet too. "Do you have Internet access on-the-go?'' That will be a crucial question to address soon as more and more people are accessing the Internet through mobile devices, smart phones, tablets, netbooks, and other devices which will connect to the Internet with little or no human intervention. The quality of mobile broadband is growing rapidly and already 10% of users are enjoying comparable quality to that of the fixed broadband users who are ready for "today´s applications". "The Broadband Quality Study offers more than just data and rankings. As the most comprehensive study of its kind in the world, it offers 'best practice' guides for countries looking to improve their own broadband leadership." "The first Broadband Quality Study was published in September 2008 to highlight each country's ability to benefit from the Internet applications of today and tomorrow. Now with three years' worth of data, the study can really prove the speed at which a country with the right investment and focus can become a global broadband leader and exploit the many benefits that come with broadband leadership. By delivering better access to education, healthcare and in-home services through high-quality broadband, Europe is fast becoming a leader in connected communities, using the network as the platform to provide a better quality of life for citizens and economic development." "The aim of the Broadband Quality Study is to highlight the link between readily available, high-quality broadband access and innovation economies, and hence the very important role that service providers, countries and cities play with their strategic policies and investments in advanced networks and services. 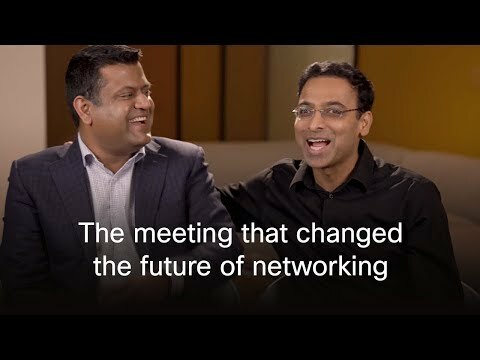 Combining real data on broadband quality with social and economic factors, Cisco is providing unique insight for governments, policy makers and regulators around the world. Moreover, the study shows that broadband quality can be a key differentiator for service providers to improve their business performance and for cities to attract investment for economic development and provide better services to their constituents. "Broadband leadership is a very complex issue. While this study sheds light on it, it should serve as a guide only to help countries and cities define their own priorities and measure the success of their policies. While we have defined the minimum broadband quality for today's and tomorrow´s Internet applications, each country and city should have its own definition of these thresholds, influenced by its stage in economic development, ambitions and priorities, and its history and cultural heritage."